The event on 26 September brings together future outlooks from municipalities, businesses and national level players, and provides an opportunity for dialogue on societal visions. What kind of future should we be aiming for as a society? How do we respond, for example, to the challenges posed by the change in work and by climate change, both now and in the future? How do we build well-being for the long term? We at Sitra strongly desire to see questions like these raised in public discussion – for example in the lead-up to the Finnish Parliamentary elections and EU elections in spring 2019. In Finland, there is a lot of future-oriented work going on which could bring valuable contribution to public discussion. Different players have conducted and are continuing to carry out foresight work regarding questions of future well-being, and these same actors are producing visions and perspectives on what kind of future we should be aiming for. Therefore, the visions and perspectives are there, but they easily get buried underneath the urgent matters of the day. This is what we are now seeking to change. 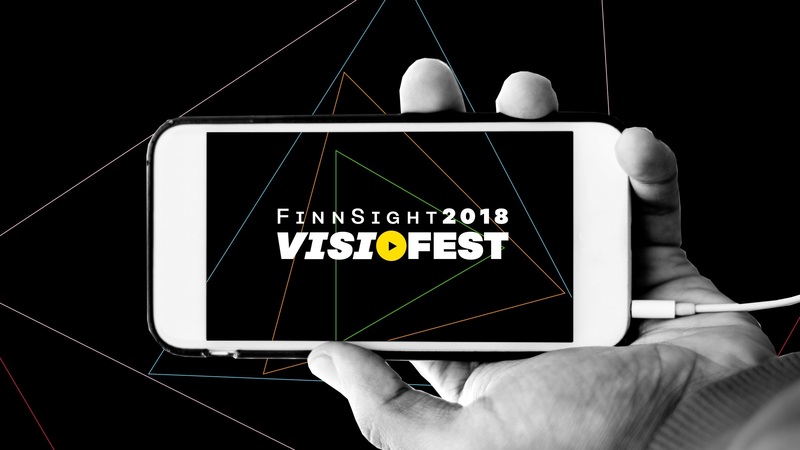 FinnSight 2018 – Visiofest (link in Finnish) brings together the fruit of foresight work carried out in Finland and offers a place for dialogue on visions for society at Science Centre Heureka on 26 September 2018. The event will include short presentations from over 40 speakers who represent different sectors of society and regions of Finland. The themes of the presentation include societal visions, companies’ visions for society, and security-related visions. “On offer will be both presentations that map out the global operating environment as well as different actors’ future outlooks for Finland and a selection of visions from regional councils”, explains Sitra’s Leading Foresight Specialist Mikko Dufva. The event is organised together by the National Foresight Network’s members Sitra, the Finnish National Agency for Education, Business Finland, the Prime Minister’s Office, the Ministry of Economic Affairs and Employment, the Academy of Finland and the Ministry of Education and Culture. The presentations at Visiofest will be snappy and the event is aimed at all who are interested in the topic, not just at foresight experts. You can also participate online, from your own sofa or office, for example. The programme and the link for the online broadcast can be found on the event webpage (in Finnish), and you can join the discussion on Twitter with #visiofest or on the Visiofest Facebook event page. The keynote speech will be given by long-time future researcher Wendy Schultz on the importance of desired futures and the different kinds of visioning methods. Schultz’s career in foresight work has already spanned over 30 years and has involved work with the governments of Canada and the UK as well as work for the UN. Because solving complex challenges requires that multiple social actors are heading in the same direction, more discussion is needed in society of visions that describe the future that is desired, and more interaction between different players is needed as well. The goal of Visiofest is to offer a place for dialogue on visions for society, so that public discussion on the future can gain new impetus. ‘We see that talking about visions for the future is at the same time an invitation to discuss what type of futures are desired’, Dufva adds. Follow the online broadcast here on 26 September from 10.30 to 16.15 (program mostly in Finnish), and participate in the discussion on Twitter with #visiofest or through the Facebook event page.